The winner of the First Annual Dave Benton Crime Fighter of the Year Award will be announced during the Annual Meeting of Crime Stoppers of Champaign County on July 30th. In addition to the special presentation of the award, Champaign County Crime Stoppers is honored to present the Chief Justice of the Illinois Supreme Court, Rita Garman, as this year's guest speaker. Members of area enforcement agencies are also among the invited guests. The Dave Benton Crime Fighter Award has been established by the Crimestoppers Board of Directors and area law enforcement in honor of board member and WCIA-TV anchor Dave Benton. The intent is to recognize a Champaign County citizen who most exemplifies the crime-fighting spirit that Dave exhibited during his award-winning newscasts, programs, and during his tenure as a member of the Crime Stoppers Board of Directors. Dave lost his battle against cancer in May. The Annual Meeting will be held from 12-1:30 at the Champaign Country Club, 1211 South Prospect. The winner along with the person who nominated the recipent, and Champaign County Crimestoppers Board Presdient John Hecker will be available during a news conference, at the Crime Stoppers tent on the front lawn at the Country Club, directly following the meeting. Crime Stoppers of Champaign County is accepting nominations for the First Annual Dave Benton Crime Fighter Award. This annual award has been established by the Board of Directors in honor of board member and WCIA-TV anchor Dave Benton. The intent is to recognize a Champaign County citizen who most exemplifies the crime-fighting spirit that Dave Benton exhibited during his award-winning newscasts, programs, and during his tenure as a member of the Crime Stopper’s Board of Directors. Nominations are open to the citizens of Champaign County. A nominee should be an individual who has made a difference in the fight against crime. The individual must have been involved in an on-going activity or program that helped to stop a crime, solve a case or made a big difference in resolving a dangerous situation that made their neighborhood, community or Champaign County safer. The First Annual Dave Benton Crime Fighter Award will be presented during the Annual Meeting of the Board of Directors on July 30th. The winner will also receive a monetary award of $500. The deadline to submit nominations is June 1st. Nomination Forms can be found on the Crime Stoppers website. Printed forms are also available at the front desks of area police departments, and at the Sheriff's Office. CHAMPAIGN — A Champaign man wanted in connection with a fatal shooting in that city in October was arrested Monday night on a warrant charging him with being an armed habitual criminal. Champaign police found Kenneth E. Butler, 30, in the 1800 block of Valley Road in Champaign. He was wanted on a warrant that had been issued two days after Jermel Hedrick, 24, was shot and killed outside Butler’s home in the 1500 block of Winston Drive. Champaign police said Butler had been in a bedroom in his home where police later found a loaded handgun on Oct. 25. They were conducting a court-authorized search of the residence after Mr. Hedrick had been found earlier in a truck in front of the house, shot multiple times. Police are still not certain who fired the shots and no one has been charged with Mr. Hedrick’s murder, which was the second shooting that same day in Champaign that resulted in a death. Yojevol Sturkey, 35, had been shot about 2:15 a.m. in the 900 block of West Bradley Avenue on Oct. 25. He died of his wounds on Oct. 29. No one has been charged in connection with his death, either. Sgt. Dave Griffet said on Monday that police received information, including a Crimestoppers tip, that Butler was at the Valley Road apartment, which is the home of the girlfriend of one of Butler’s friends. Police watched the apartment while a detective obtained a search warrant for the place. Griffet said officers tried to talk Butler into coming out but he refused so they assembled about eight SWAT team members. When confronted by those officers, Butler came out without resistance, Griffet said. There was another man in there with him. He was then taken to the Champaign police station, where he talked to detectives about what happened at the Winston Drive address on Oct. 25. “He gave us a couple pieces of the puzzle. We have an idea. We just can’t prove it. We’re working on it,” Griffet said. “He was tied to that residence on Winston where the gun was recovered. That’s why the warrant was issued. We wanted to get him picked up on that and talk to him about the homicide. We are still doing what we can to find any possible witnesses to that event.” Police believe Mr. Hedrick’s shooting may have resulted from a fight that took place at an after-hours party at Butler’s home. Also staying there was Harvey Blakely, 29, who has been charged with drug offenses. Blakely was the host of the after-hours party, police said. He was arrested that Saturday and charged the following Monday with unlawful possession with intent to deliver heroin and cocaine, both Class 1 felonies. Police found about 11 grams total of suspected cocaine and heroin in several individually wrapped bags under a mattress in the room they believe was Blakely’s. He remains in the Champaign County Jail in lieu of $510,000 bond and is due back in court next week. Court records from Champaign County show Butler has previous convictions for possession with intent to deliver a controlled substance and burglary. Butler was expected to make a court appearance Tuesday afternoon. • Keep a detailed inventory of your valuable possessions, including a description of the items, date of purchase, original value, and serial numbers, and keep a copy in a safe place away from home. This is a good precaution in case of fires or other disasters. Make a photographic or video record of valuable objects, heirlooms and antiques. Your insurance company can provide assistance in making and keeping your inventory. • Lock all outside doors and windows before you leave the house or go to bed. Even if it is for a short time, lock your doors. Deadbolts are good for outside doors. • Keep your garage door, fence gates and sheds/storage buildings closed and locked. Regrettably, this should be done even when you are at home. Side gates allow thieves easy access to the back of your house, away and out of sight from the street. Not only are these areas full of valuable and easy-to-steal tools, but they usually contain implements that thieves can use to break into your home. Always lock doors between your house and garage. • Do not let newspapers or mail pile up while you are away. Place a hold on these items or have someone collect them for you while you are away. • Don’t advertise the property you have recently purchased or received as a gift. Put the boxes in a trash bag or trash container. If you leave them out, anyone can see what you now have inside your residence. • Beware of “pretextual contacts”, such as individuals knocking on your door soliciting work, looking for a lost animal or stating that they thought a friend lived at the residence. These could be efforts to determine whether the home is unoccupied at the time. Take note of the direction in which the person walks, as well as any vehicles in which they enter, and notify the police of same. URBANA — A Champaign man turned himself in to police after the publication of a Crimestoppers bulletin regarding a theft on the University of Illinois campus. Sammy Boykins, 46, of the 1200 block of Dorrie Miller Drive, was criminally charged Tuesday with theft with a prior theft conviction in connection with the theft of a backpack on Sept. 29. University of Illinois police Sgt. Tom Geis said about 2:50 p.m. that day, an officer was sent to the basement of the Illini Union, 1401 W. Green St., U, where a woman reported her backpack had been stolen from an employees’ area at Einstein Bagels. Another employee saw a man in that area and when the employee spoke to the man, he took off. Geis said the backpack with all its contents was recovered the next day in another UI building nearby. Police circulated surveillance video that clearly showed the alleged thief’s face to other police officers before making it the subject of Monday’s Crimestoppers. Geis said two police employees believed the man was Boykins. Boykins turned himself in Monday at the Champaign police station. Geis said he admitted that he took the backpack in search of something value to sell so he could buy drugs. There was nothing of value to him in the bag, Geis said. CHAMPAIGN — Tips to Crimestoppers led to the arrest of a Champaign County man believed responsible for recent robberies at a bank and a business in Champaign. Champaign police said Michael Alexander, 37, who listed an address in Rantoul, was arrested Monday in Indianapolis by the U.S. Marshal's Task Force on a warrant issued by a Champaign County judge last Friday. Alexander was charged with two counts of aggravated robbery for the holdups of the Illini Arcade, 33 E. Springfield Ave., on Sept. 12, and the First Midwest Bank, 812 W. Springfield Ave. on Sept. 15. Sgt. Dennis Baltzell said the robbery of the adult bookstore took place about 11:30 p.m. on Sept 12. In that incident, the robber followed the female clerk behind the counter and then implied that he had a weapon and ordered her to open the cash drawer. Baltzell said the woman, 23, did as the robber ordered and he made off with an undisclosed amount of cash. She wasn't physically hurt. On the following Monday, a robber entered the bank around 3:20 p.m., handed over a note and implied — but did not display — a weapon. He then left on foot. In both holdups, the robber made off with undisclosed amounts of cash. Baltzell said none of that was recovered. After the bank holdup, police made public surveillance video pictures of the robber that prompted several calls to Crimestoppers. Baltzell praised those callers for coming forward. "Eventually, it would have gotten solved but they were the ones who got the ball rolling and we were able to tie the two cases together and make the suspect identification," said the police detective. Police also collected physical evidence from both crime scenes that Baltzell said strengthened their cases against Alexander. Judge Richard Klaus set bond on the warrant at $1 million. Alexander was arrested without incident at the home of an acquaintance. "I think the marshals were on him before he knew what happened," said Baltzell. It will likely be months before Alexander gets returned to Illinois. He is being held in the Marion County, Indiana, jail on Champaign County's warrant. He is also being held on a Vigo County, Indiana, arrest warrant for robbery and for an alleged violation of the parole he's currently serving from a prior Indiana criminal conviction. "He will have to finish up his parole and deal with the new charge (in Indiana) so I'm not sure when we'll get a crack at him," Baltzell said. 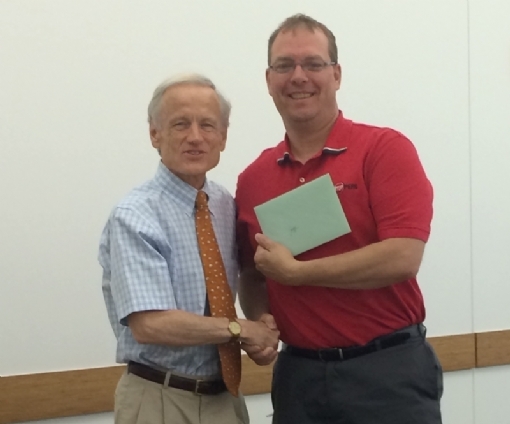 At their May 29, 2014, monthly board meeting, Champaign County Crime Stoppers thanked and congratulated retiring Board member Jeff Cullers for his energy and faithful service to the local and State Crime Stoppers organizations. Protect your identity. Keep your old documents out of the wrong hands. The best way to protect yourself against identity theft is to make sure your personal information doesn’t fall into the wrong hands. And just a few minutes on your part could make a huge difference. Join Crime Stoppers of Champaign County Saturday, May 31st from 9am to 11am for the SHRED-IT EVENT. Bring your old personal documents to the State Farm Center (formerly known as Assembly Hall) where you can get rid of them permanently. We’re working with Monster Shred, a local company dedicated to helping you and the environment at the same time. We’ll accept the following documents: medical records, financial statements, credit applications, bank statements, documents with social security numbers or driver’s license numbers, bank checks, tax records and legal documents over eight years old. There has been remarkable support for this annual event. It has helped to stop identity theft in Central Illinois, while saving more than 150 trees and more than 25 cubic yards of landfill space. But because of this success, we’re limiting the number of boxes that we can accept to make sure all the documents are shredded on the spot. The limit is two boxes no bigger than a Banker Box. 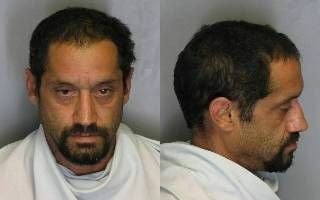 For more details, log on to the Champaign County Crime Stoppers’ website at www.373tips.com. The U. S. Department of Justice says identity theft hurts millions of people every year. John Hecker, President of Crime Stoppers of Champaign County believes a proactive approach can save you time, money and worry in the long run and Crime Stoppers is happy to lead the way. Come out and join us Saturday, May 31st at the State Farm Center from 9am to 11am. Look for us in the parking lot across the street, immediately west of the State Farm Center (Lot E-14). Crime Stoppers is asking for a small donation of $5 to help pay future rewards. Crime Stoppers offers rewards of up to $1,000 for tips that lead to arrests in cases across Champaign County. Crime Stoppers of Champaign County and its community partners were highlighted during its annual meeting today. Some of the group’s strongest supporters were honored by the Illinois State Crime Stoppers Board of Directors. Illinois State Crime Stoppers honors individuals, groups and companies across the state every year for their participation on the local level. Thursday, six companies were given awards for their participation and dedication to this community partnership. Illinois State Crime Stoppers honored the following businesses for helping to make a local fundraiser a success. The Outstanding Contributors of the Year Award went to the State Farm Center (formerly known as Assembly Hall) and to Monster Shred, Incorporated of Champaign. Both award winners donated time, space and services for the annual Champaign County Crime Stoppers’ Shred-It Event. The event encourages residents to bring their personal documents for shredding. Around 200 people safely destroyed their documents in June, keeping them out of the hands of criminals while saving space in landfills. Four media outlets were also honored with the Media Organization of the Year Award. The winners were WCIA 3, WDWS/WHMS/WKIO, The News-Gazette and Adams Outdoor Advertising. These companies donated resources, print space, billboards and air-time to help Champaign County Crime Stoppers reach out to the public. Those awards were presented at Champaign County Crime Stoppers’ annual meeting which was held Thursday at the Urbana Country Club at 100 E. Country Club Drive. Board members also thanked law enforcement for their cooperation. John Hecker, President of Crime Stoppers of Champaign County believes the group’s on-going fight against crime would not be possible without the support of local law enforcement. Hecker adds the state recognition highlights the strength of the local program and its partnership with the community. Champaign County Crime Stoppers is proud to have served our community by offering to shred your private and financial documents at today's annual Shred-It Event. Many thanks to those who stopped by and supported us in our annual fundraiser. Also, a huge thank you to Monster Shred, who donated their equipment and services for today's event. CHAMPAIGN COUNTY – The best way to protect yourself against identity theft is to make sure your personal information doesn’t fall into the wrong hands. And just a few minutes on your part could make a huge difference. Join Crime Stoppers of Champaign County Saturday, June 1st from 9 am to 11 am for the SHRED-IT EVENT. Bring your old personal documents to the State Farm Center (formerly known as Assembly Hall) where you can get rid of them permanently. We’re working with Monster Shred, a local company dedicated to helping you and the environment at the same time. We’ll accept the following documents: medical records, financial statements, credit applications, bank statements, documents with social security numbers or driver’s license numbers, bank checks, tax records and legal documents over eight years old. There has been remarkable support for this annual event. It has helped to stop identity theft in Central Illinois, while saving more than 150 trees and more than 25 cubic yards of landfill space. But because of this success, we’re limiting the number of boxes that we can accept. The limit is two boxes no bigger than a Bankers Box. The U. S. Department of Justice says identity theft hurts millions of people every year. John Hecker, President of Crime Stoppers of Champaign County, believes a proactive approach can save you time, money and worry in the long run and Crime Stoppers is happy to lead the way. Come out and join us Saturday, June 1st at the State Farm Center from 9am to 11am. Look for us in the parking lot under the marquee at Kirby and First on the U of I campus. Crime Stoppers is asking for a small donation of $5 to help pay future rewards. Crime Stoppers offers rewards of up to $1,000 for tips that lead to arrests in cases across Champaign County. According to an article in the March 2, 2013, issue of The News-Gazette, a suspect featured by Crime Stoppers on February 24th surrendered himself to police four days later. Dale Stump, who police suspected of steeling metal from a construction site (and also wanted for a forgery charge) turned himself into Urbana Police after learning he had been featured by Crime Stoppers. Formal charges were reportedly to be placed against him on March 1st. Champaign County Crime Stoppers is proud to serve our community and help get criminal suspects off the streets. Please help support the work Crime Stoppers does for your community. Champaign County Crime Stoppers President John Hecker pulls a winning raffle ticket number while Treasurer Dawn Coyne looks on. Crime Stoppers thanks everyone who participated in our 2013 fundraiser. For an updated list of the winners drawn so far this year, click here.